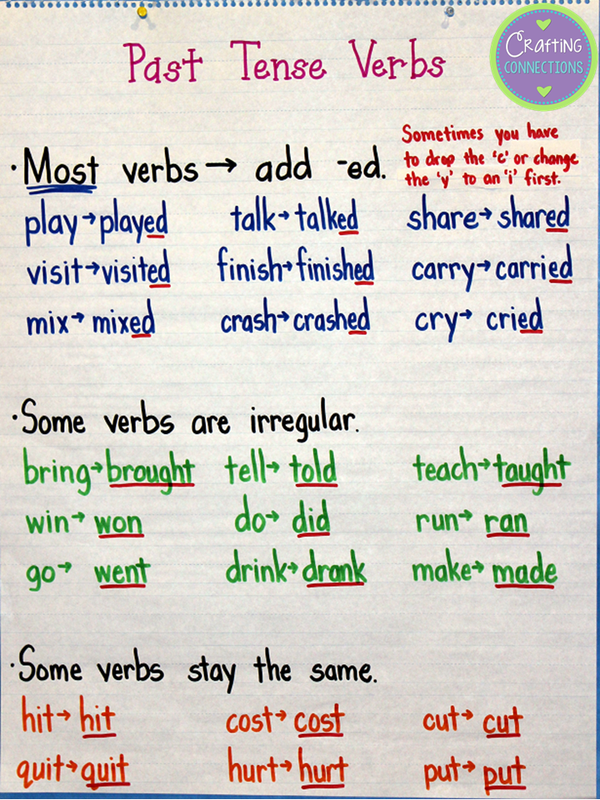 The past tense verbs anchor chart that I'm sharing today is very simple... yet very important for ELLs. In fact, I would estimate that I have created this anchor chart at least 20 times during my 12-year tenure as an ESL teacher. I have my students help me write the past tense verb beside each present tense verb. 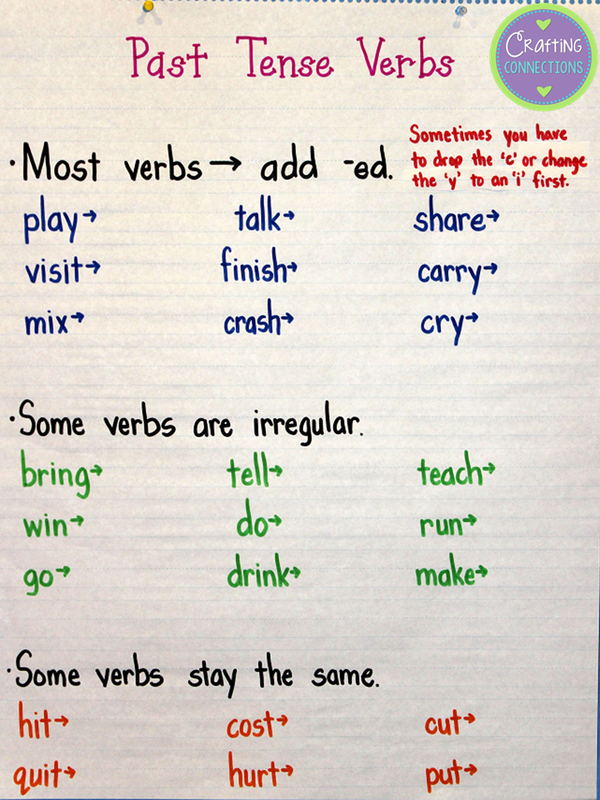 By the way, I have found that many students can benefit from this anchor chart- not just ELLs. I wish I had a dollar for every time I have heard my seven-year-old English-only-speaking daughter utter "brang" in the past year. I'd be rich! Even my ten-year-old daughter said "quitted" recently! And who can blame them? "Sing" becomes "sang", but "bring" does not become "brang"??? What a confusing language we speak! 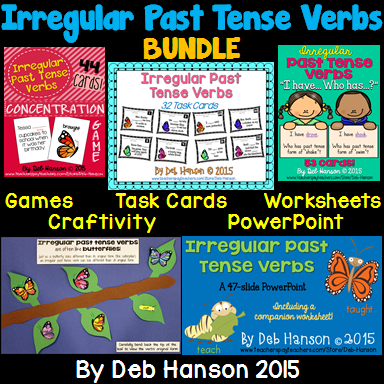 If you're looking for additional Irregular Past Tense Verb activities, feel free to take a look at my TpT store. The image below shows my bundle, but all of these products can be purchased individually, as well. Yes!! And to make it even more confusing, that tricky "ed" ending can have 3 different sounds! I have one little one that I'm trying to work SO hard with trying to say the correct "ed" ending. Another one that is so prevalent this year in my room- "bringed." We'll be creating this one soon! Thanks so much! Would you believe we could still use this in middle school? I put some of the blame on texting and one thinking they have to sound "cool". Good times.